A cluster munition is a type of air-dropped or ground-launched explosive weapon that ejects smaller submunitions. Commonly, this is a cluster bomb that releases many small bomblets over a wide area, posing risks to civilians both during attacks and afterwards. Vast numbers of these unexploded munitions inevitably remain behind long after a conflict has ended, often hidden in vegetation and are prone to go off if accidentally disturbed. 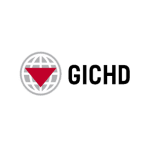 Formed in 1998, the Geneva International Centre for Humanitarian Demining (GICHD) works to eliminate these cluster munitions, mines and other explosive remnants of war. When the Convention on Cluster Munitions (CCM) – an international treaty that addresses the humanitarian consequences and unacceptable harm to civilians caused by cluster munitions – came into effect on 1st August 2010 it gave a categorical prohibition on types of munitions and a framework for action. The Convention prohibits all use, production, transfer and stockpiling of cluster munitions. However, a problem in implementing it was that managers of stockpiles simply didn’t know which of their munitions were in breach of the CCM. Armed forces often accumulate varied stocks of munitions from different nations and manufacturers. These are frequently difficult to identify because at first sight they can be indistinguishable from other weapons, and information to decipher their markings was unavailable or hard to understand. In response to this problem, GICHD contacted Fenix Insight, an Explosive Ordnance Disposal consultancy involved in the disassembly of landmines and cluster bombs throughout the world. Having worked together previously on similar projects, Fenix Insight turned to Ballard Chalmers to build Cluster Munition Identification Tool (CMID). The CMID shows stockpile managers and administrators where to look for the markings and codes, enabling them to identify the contents of the munitions, and if they are banned by the Convention. Such information is otherwise spread between old handbooks, manuals, or even lost. The easily accessible and searchable database includes graphic navigation and identification of cluster munitions based on weapon category. The sofware was developed to be simple and intuitive enough to be used in real world conditions and an additional overview shows types and combinations of explosive submunitions that can be carried by such cluster munitions. The CMID tool is available on the GICHD website and is in use by nations around the world in support of the Convention on Cluster Munitions.